You’ve got 5 minutes to convince me you can save the planet. Oh, and save lots of money. All while mastering powerpoint. Now, go. Ten startups gave it their best shot on Thursday at the Chicago Clean Energy Alliance’s cleantech pitch competition. Presenting to a panel of veteran investors and entrepreneurs, they entered the race to become a Global Cleantech Cluster Association-endorsed prospect. What did we learn? Well, for starters, the wait could almost be over for seawater that desalinates itself (using wave technology). And stand by for the world’s usable gas reserves to leap 30%, thanks to a high-temperature combustion engine that could run on H2S. While you’re at it, throw a water canister in your trunk because you might soon be able to mix it with diesel for cleaner transportation. The thinking was as grand as it was varied. But therein lies the challenge. How do you pitch such a big idea in such a short time? Speaking with audience members afterwards, this is what some of the presenters could have done better. Hit your audience between the eyes with the big benefit straight away and backfill the details later. Context is vitally important but don’t start with it. Find your hook and dangle it immediately to keep people wanting more. And keep it punchy; the phrase “elevator pitch” was invented before we could build half mile-high buildings. If you need to change the font size to fit your headline on a slide, that’s a bad sign. Science units and business units are very different. Convert your hard metrics into language that VCs understand. More often than not, that’s $/foot, $/kW and $/day. If you don’t have all the financials together, then at least use layman measurements or analogy. That will also help when explaining your magic to journalists. Yes, you need to be innovative and hold a patent but that’s about all. Other than that, it’s better if your technology doesn’t sound like it’s off the pages of a sci fi novel. Earth-shattering breakthroughs are really, really hard work and most people just don’t have the stomach for a paradigm shift. So yes, be enthused and by all means talk up the applications but understate the science if you can. Admit what you don’t know. Investors are misled for a living. Only your spouse will be better at picking when you’re glossing over something. Better to concede any oversights in your plan and retain the audience’s trust for another day. Besides which, fallibility is human and the ability to admit it, endearingly so. It will make you likeable. The technology’s cool and all, but where does it fit in today’s economy? Who are you selling it to and why will they break with the status quo to use it? It’s important to stay focused here. Even if there are dozens of applications, pick one and blow it out. Your selection criteria for that one application is simple—go for the lowest hanging fruit, where there are least barriers to implementation. This tells investors how close they are to their first revenues. 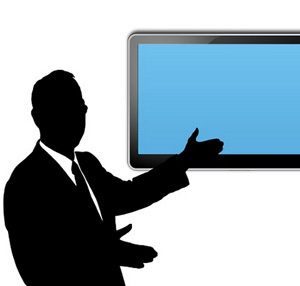 Slides don’t give presentations, people do. Dense slides compete for attention. An audience that’s frantically trying to make sense of your slide won’t be listening to you. Clean slides with fewer characters and bigger fonts will make the whole experience clearer and less fatiguing for the people you’re pitching. What to learn more? Follow us twitter @yelloblu.